Hello and welcome back! 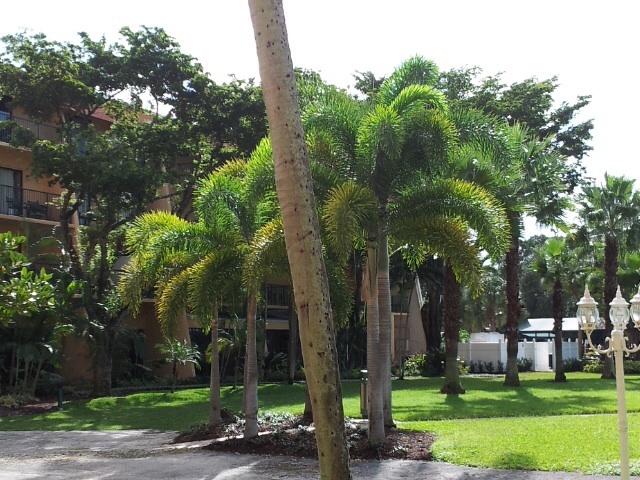 I took a break last week since I was visiting family in sunny Florida. I will be teaching a hand piecing class for AQS Quilt Week in Albuquerque in January! 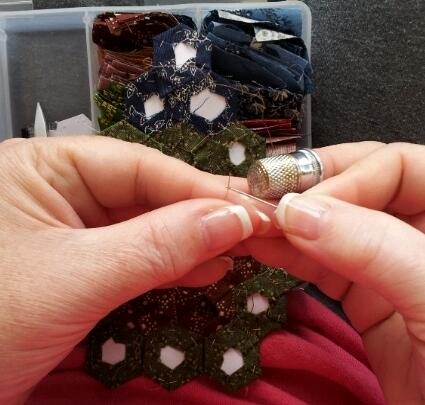 Look for “Stitch it Slow – Handwork on the Go”. GO sign up HERE as classes are filling up. I will also be teaching “Hexies and Honeycombs”! Specifically, flower garden blocks and the wonderful Lucy Boston blocks from Patchwork of the Crosses. Both classes are all handwork! Take a break and join me in Albuquerque!! This brings me to the two tips I want to share today. #1 – NEEDLE the thread as opposed to threading the needle. #2 – Pack your “to GO” box with all the bits for one project. Below you will see my mini flower garden project in a plastic snap lid box I found in the bead box section at a chain store. 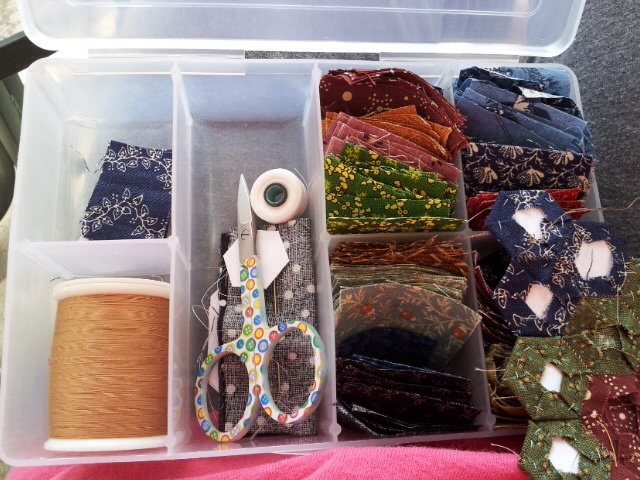 It holds my small scissors, needle, spool of thread, cut fabric pieces and 1/2″ hexies. Give it a go! Find a handwork project and take a break from the fast pace world. This entry was posted in Handwork, Tips, Uncategorized. Bookmark the permalink.